As we release the inaugural issue of Connections Quarterly, we look back with gratitude and thanks to God for our first on-line publication, Connections which was successfully published monthly for seven years! We look back with gratitude and thanks to the numerous people who gave their time and talents which made each one of our Connections issues a successful issue. Now we give thanks for this expanded Connections Quarterly e-publication. Through these articles we will share congregational and hospital wellness ministry programs. Through these articles we will introduce new and innovative health and wellness programs. Through these articles we will connect congregations engaged in wellness ministry programs. Through these articles we will share with you our programs and activities to serve you better. Through these articles we will feature topics of interest and value for your ministry. Through these articles we will introduce you to educational and training opportunities to lead a healthy life. Through these articles we will introduce pastoral care givers who are here to serve you. As we launch this publication, we give thanks to God for each of you and for your partnership. We look forward with hope and confidence. The same God who brought us thus far will lead us forward. Thanks be to God! A new opportunity to support someone in need! Thanks to the generous support of our associates and the wider community, we have launched a brand new initiative at Advocate Condell Medical Center and Advocate Sherman Hospital, Compassion Closet. Though the generous support of donors, Compassion Closet provides appropriate new clothing, shoes, and toiletries for our patients of all ages and sizes whose circumstances result in their needing clothing upon discharge from the hospital. Donations to the Compassion Closet are accepted any time of the year. For inquiries, please contact the chaplains. Join us in this worthy effort as we seek to serve our community by placing a diaper collection box and becoming a diaper distribution site. This effort consumes very limited man power or effort. To learn more about this vital ministry, please contact Chaplain Suzanne Martinez via email. 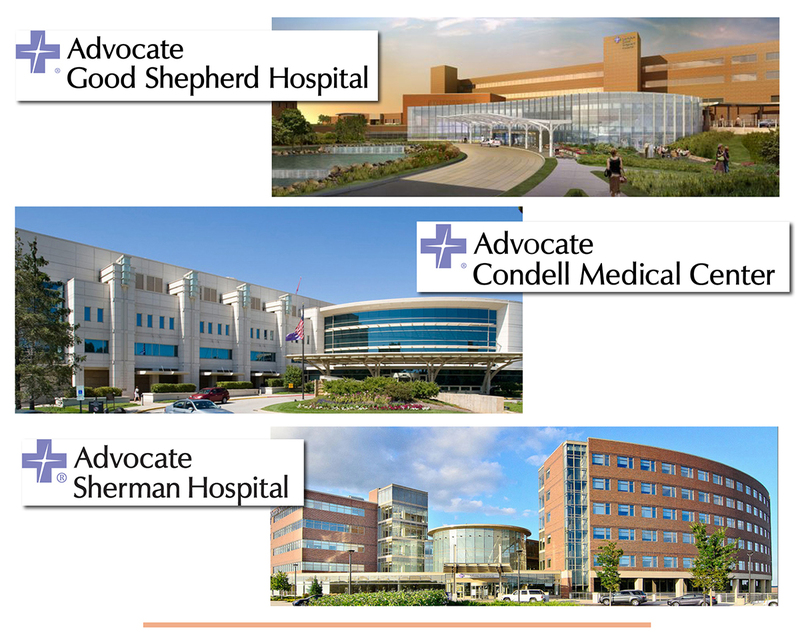 We are committed to provide safe and compassionate care to each of our patients. We are committed to making sure no patient is alone without family or friends. If a patient has no family or friends to visit them while they are hospitalized, we will offer them the opportunity to have a Compassionate Companion to visit them and give them company. This free service will be provided by our trained Compassionate Companion volunteers. Coordinated by our chaplains and nurses, and led by our Volunteer Department, this initiative offers us another opportunity to practice our commitment to compassionate care to each and every one of our patients. Currently this program is offered at Advocate Condell Medical Center and Advocate Sherman Hospital. To learn more about this program and to become a Compassionate Companion, please contact our chaplains.